These date indicate an amount of the test sample's weight loss before and after abrasion test. The less numerical value, the better abrasion resistance. 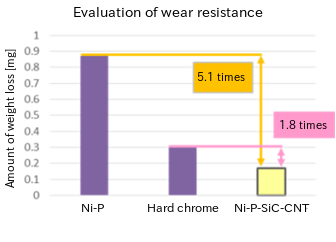 The electroless Ni-P-SiC-CNT composite plating is 5.1 times better than the electroless Ni-P plating, 1.8 times better than the Hard chrome plating. These date indicate a wear coefficient in the abrasion test. 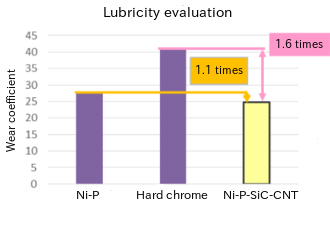 The less numerical value, the better lubricity. 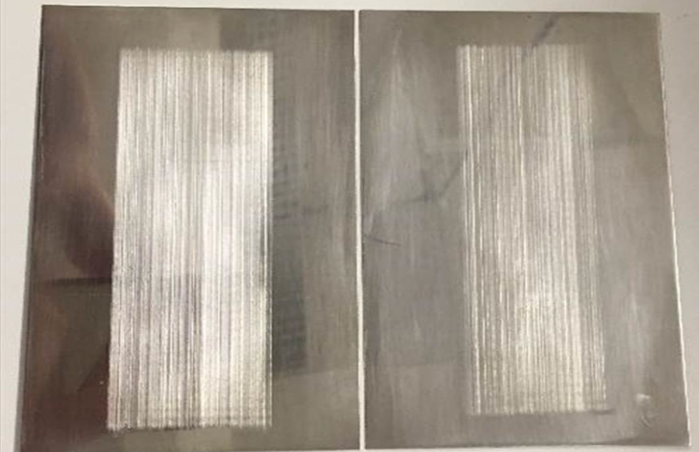 The electroless Ni-P-SiC-CNT composite plating is 1.1 times better than the electroless Ni-P plating, 1.6 times better than the Hard chrome plating.